Dust becoming liquid giving energy to fire, and then the breath of man with the embrace of wood give shape and soul. 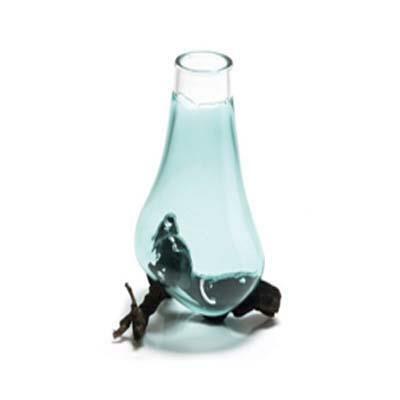 Sedimenti is a limited series of vases created thanks to the sensibility of the master glassmaker who blows a mass of glass using high temperature on various tree branches found in the Tuscan countryside, thus incorporating them into a composition. The outcoming object is unique due to the singularity of each piece of wood, to the shape interpretation given by the designer, and finally to the sensitivity of the master glassmaker who creates it while blowing air into the glass. Handmade in Italy.